She couldn’t have asked me a more difficult question. I was stumped! I had been years away from novels and mysteries, my interest was Torah and Halacha which was not a specialty of the Buffalo Public Library, and I was way too embarrassed to ask for some back copies of MAD magazine. For some reason, unclear in my memory, I asked her to get some books about Jesus. I was somewhat curious about the founder of Christianity who popped up smack in the middle of Hillel and Shamai. Having left the incubator of Kiryat Mattersdorf and Kollel in Jerusalem, I felt I should know more. An hour or two passed and in walked my wife with a pile of books that would outlast even the worst case of influenza. Books with titles like Rabbi J; Jesus the Assyne; Christianity in the Second Temple era and more. Over the next three days in bed I learned more about Yushka and Paul than any Yeshivah Bochur would ever want or need to know. I felt like walking downtown and daring the first missionary to an open debate – but I fell asleep instead. Then the phone rang. “We don’t know each other!” the caller said. My caller was a professor at Buffalo State College. He was a really nice man and a very intelligent one. He explained that he was involved in an intellectual discussion group with a group of his colleagues who are all very strong believers in Christianity. They are urging him to get involved or at least give Christianity a try. The caller was torn between his assimilated but still Jewish Neshama and the peer pressure of his colleagues. He needed an intelligent response and he needed it quick. Well he came to the right place. I was an expert in Christianity and had been so for over an hour! I quoted him chapter and verse from the New Testament pointing out the historical background of Paul and the textual contradictions that could not be resolved. By the end of the conversation not only was he convinced and knowledgeable but we were friends. I thanked G-d for giving me the flu and finally asked the man his name. “My name is Morey Isserlish!” The very name made me tremble. “There was a great 16th Century Rabbi by that name,” I said. “The Rema of Krakow is my direct ancestor” he answered. “My Hebrew name is Moshe. 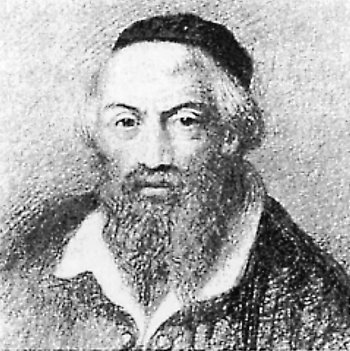 I am named after my grandfather who was called Reb Moishela of Krakow who was a direct descendant of the Rema.” He explained to me that he didn’t know much about this illustrious rabbi and if I had information he’d love to know more. So Morey came to classes, we studied Torah together and we became close. Today, Lag B’omer , is the 437th Yortzeit of the Rema. http://en.wikipedia.org/wiki/Rema . I hope the Rema stands before Hashem and asks Him to watch over all of his children like he watched over Morey. May his neshama have an Aliya.